Although Gresford’s bells may remain one of the seven wonders of Wales, its wells are a little mystery. Lhuyd’s survey of 1698 identified one holy well at Gresford, dedicated to All Saints, the same dedication as the church, however no details as to its location or traditions realting to it were recorded at that time. Current OS maps identify a site on Springfield Road as All Saints Well. 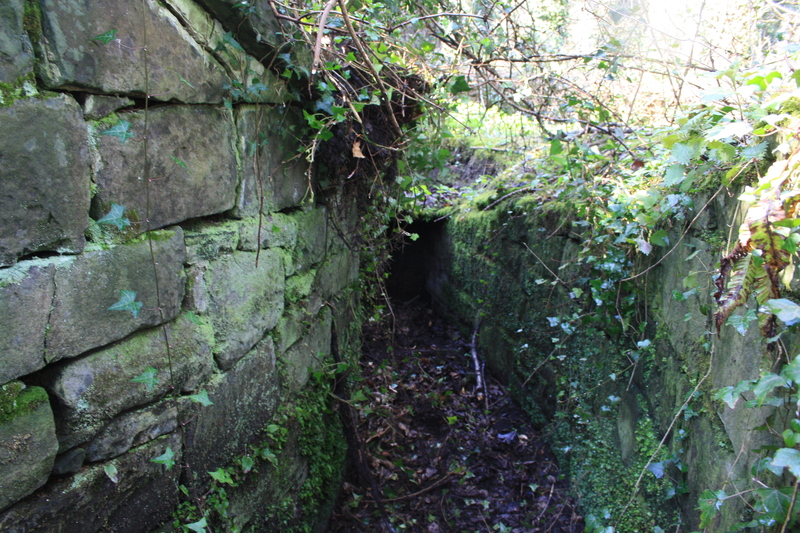 This lies down the hill and across the railway from the church. However, in mapping terms, this is a recent amendment. On late nineteenth century and most twentieth century maps the well at this point is noted, but not named. Below the church and the railway station is an ample spring which without doubt is the ‘Ffynnon Holh Seint’ or All Saints Well mentioned by Edward Lhuyd in 1698. 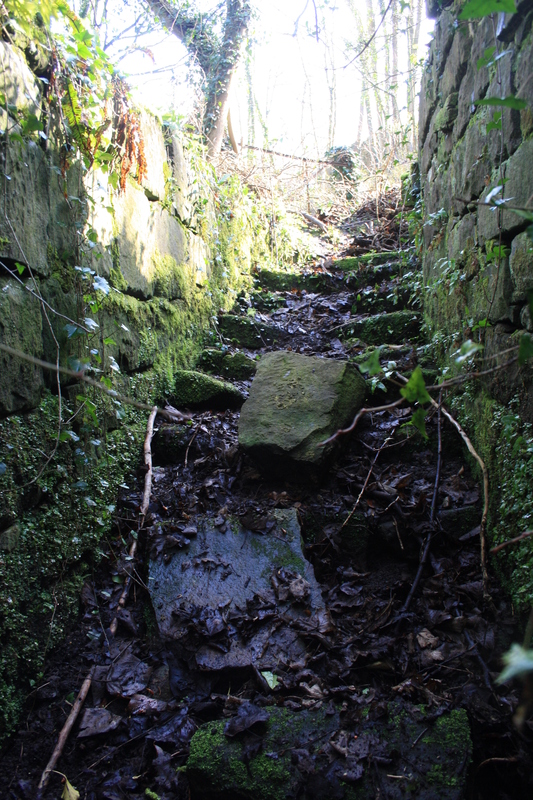 The water still supplies the village, being now forced to the top of the hill by mechanical power; the way to the well was by a covered stone passage, of probably niot earlier date than the 18th century, and fifteen stone steps which are evidently much older. It is quite possible that at this time the old All Saints Well had merely been renamed St Catherine’s Well. There is a St Catherine’s Chapel within the All Saints Church and the well may have been renamed at some period in her honour. Alternatively, maybe the Royal Commission and subsequent mappers were wrong, and this is not the All Saints Well identified by Lhuyd. 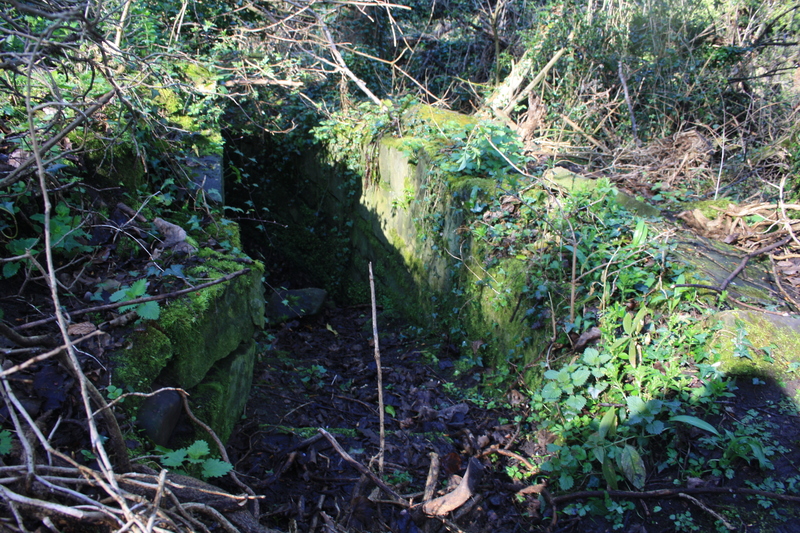 This well lies a couple of hundred yards to the north of the church, on a little wooded buffer between the railway and the A483 dual carriageway, surrounded by the upended roots of fallen trees. It is accessed from Springfield Lane, the name maybe recording the one time importance of the well. But even though the entrance to the well is almost on the roadside it is very easy to miss unless you are actually looking for it. Any aspects of its role in religious or medicinal uses seem to have been lost, although in its time, judging by the construction, it must have been viewed with importance to the community. This was probably due to its use as a water supply though, to provide access for the water carriers rather than pilgrims. It does not merit a reference in any of the Victorian gazetteers, so it must be presumed that by that time any greater significance that it may have once had was lost. 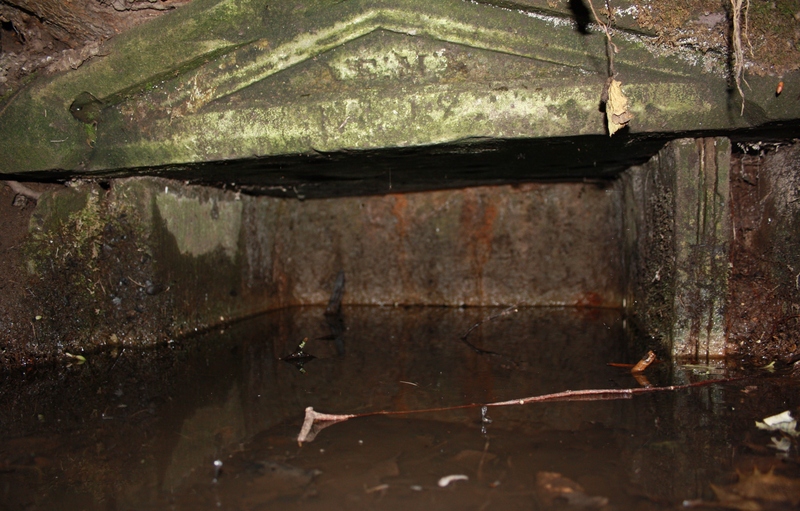 The well basin lies about five feet below the current ground level. It is reached by around fifteen stone steps which lead down into a narrow stone lined corridor which curves slightly round for about five yards between the foot of the steps and the well. The church at Gresford dates from the 15th century when the existing parish church was demolished and replaced with the magnificent building which stands there now. At the time the church was massively out of scale with the small village in which it stood, and there is some debate as to how exactly the funds were raised for a building of such size, and the necessity for such a church. 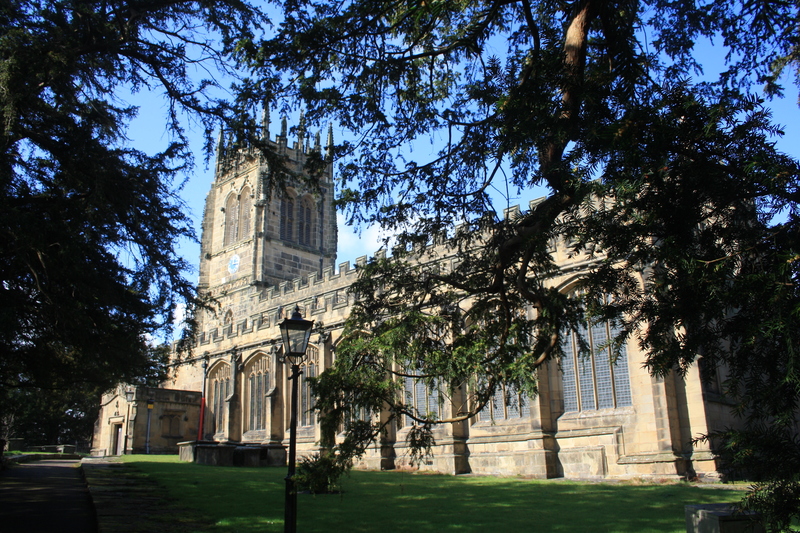 Whether it was financed as a special location on a pilgrimage route – it is suggested that at one time it may have contained an important image or relics; or whether financed by a rich benefactor, such as Thomas Stanley who endowed other churches at Wrexham and Mold is discussed on the church website. More recently another curious Gresford well has been brought to my attention. To find this one you follow the footpath that begins opposite the junction between Springfield Road and Gresford Road, running parallel to and between the railway and the A483. The path turns and goes through an archway under the railway and just there, on the right hand side beneath a tree is this well. In the past it is been suggested that it may be the remains of St Leonard’s Well after the old chapel dedicated to the saint. 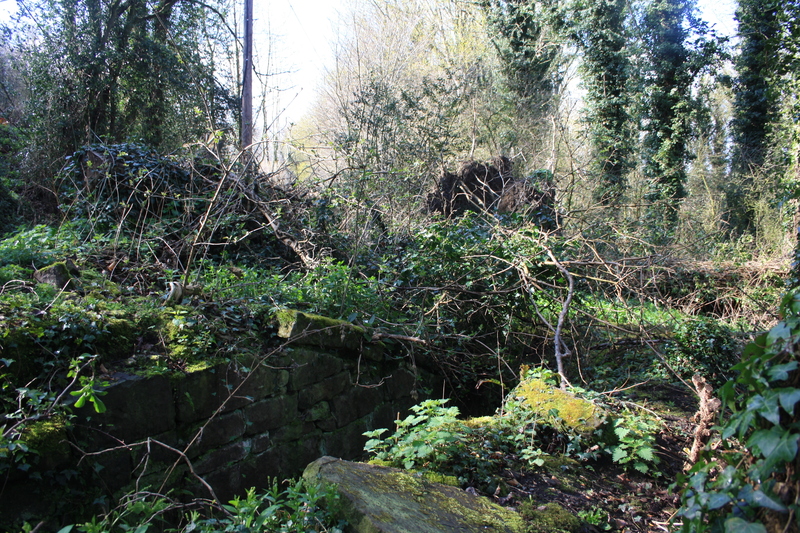 Another suggestion is that it is the remains of the Parsonage Well, so named since it is close to the site of the old Parsonage. 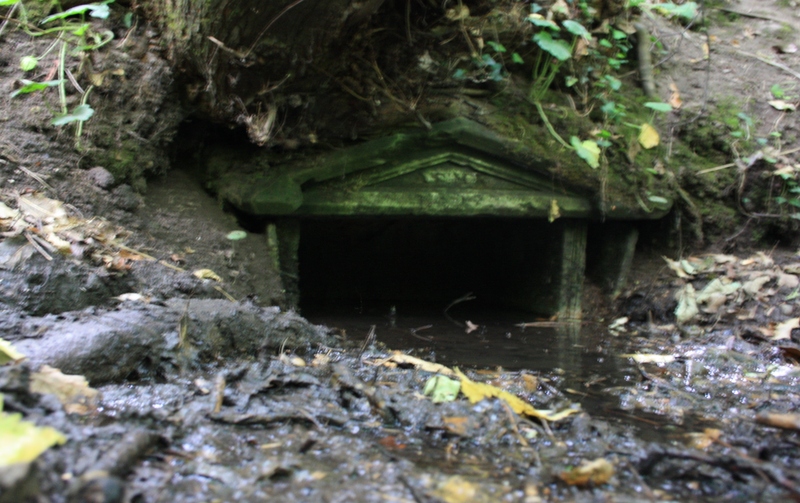 Underneath the mud it seems to be completely lined in stone within, and there is an inscription on the top – possibly reading A:E::M:N (or X or K) and also a date – possibly 1818? Any other suggestions as to its origin would be welcomed. 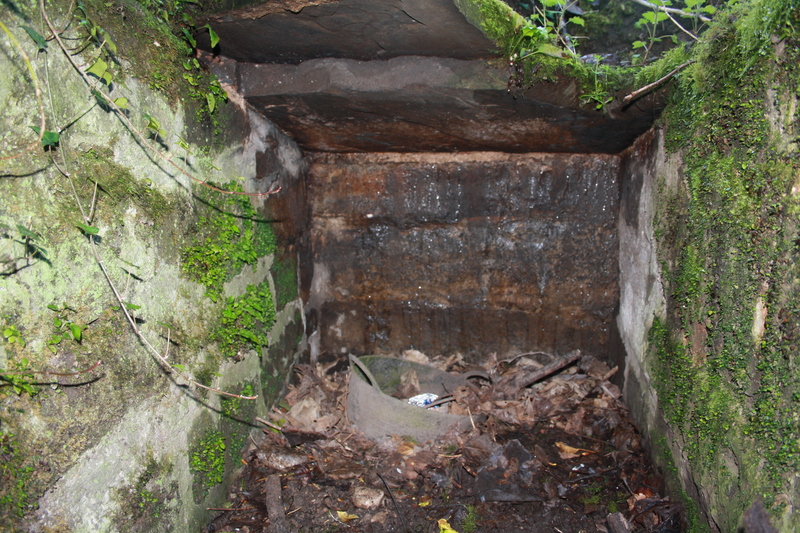 The inside is lined with stone on three sides, it was filled up with silt so it wasn’t possible to determine the depth of it or whether it had a stone base too. Colin Jones (1995) History of Gresford Village and Church and Royal Marford. Privately published. Thanks for the info on the Gresford Wells. Last spring I was photographing a ‘timespan’ of Springfield Wood to follow the emergence of the different flowers. I read a piece on the Duke’s Wood blog that this sequencing shows the ancientness/ lack of disturbance of woodland. Springfield Wood is pretty ancient! Whilst at the ‘Springfield’ Well I noticed a number of Bogbeans growing but missed their spectacular and unusual flowering by a day. Have a vague memory of seeing the St. Leonard’s Well but didn’t photograph it. Will do next time when I do the second half of the timespan this spring. It is a fascinating little strip of woodland, one that you would normally just fly past on the A483 without a thought, but when you stop to look there is so much history there squashed in between the railway and the road. It just shows how much is hidden, and how much has been lost just about anywhere you look in this country. Are your photos online anywhere? I’ll put a series of pics up soon. Will let you know here. I’m still trying to get some good pics of the Llanrhaeadr well near Denbighshire. The light has always been against me!